Meathead Movers is here to take care of the heavy lifting for you on your move to Ojai. Our clean-cut student athlete movers are ready to get you safely settled into your new Ojai home. Ojai is known for being a unique town. The community specializes in offering lodging and other services for the many tourists who come through the area. Not only are there several great hiking trails in the area, but there are also spiritual retreats and several organic farmers’ markets in the area. The city prohibits the establishment of chain stores, so Ojai is a great place to start a small business. 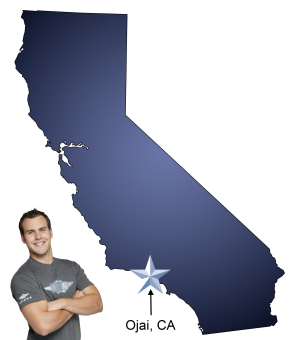 If you are considering moving to Ojai, be sure to check out the services that Meathead Movers has to offer. Other Ojai movers simply can’t match the level of customer service and quality that we provide. Meathead Movers stands out because we take the time to ensure that our employees are the best the industry has to offer. All our Ojai movers are clean-cut, respectable student-athletes who are trying to work their way through college. We put them through a rigorous screening and training process to ensure that we hire the best possible movers. You’ll see the difference. Our Meatheads are polite, will treat your items with respect and will even jog to and from the truck when they’re not carrying anything saving you valuable time. No matter if you’re undertaking a local, long-distance, or commercial move, Meathead Movers has you covered. We are California’s premier movers, and we also offer several other services like long-term storage, packing, and a moving concierge service that can make your move easier. If you don’t have enough time to handle the move and the responsibility of doing the research for and hiring a quality house cleaner, carpet cleaner, junk hauler, real estate attorney or babysitter, we’ve got a list of companies that all meet the Meathead standard. At Meathead Movers, we offer fixed pricing and our trademark Meathead hustle. Call us today to learn even more about our services. Our staff can also provide you with a free no-obligation moving quote upon your request. With our 100% satisfaction guarantee, the only thing you have to lose is the stress that comes from moving! Moving to Ojai? Here are some helpful resources. The young men who helped me move were polite and patient and extremely professional with me and each other. They were clean cut and went above and beyond to make the move easy. We had a difficult time getting a sofa upstairs but they kept trying different ways to approach the dilemma. The team work was impressive, truly. It was very apparent that these young men were trained well. I chose Meathead because of the service you provide to women and children in who are at risk in violent homes. Everything about your service is well worth the cost. Boys were so professional, respectful, courteous. It was a wonderful experience. Hardworking, amiable young men. Ask a lot of questions, don't make assumptions, with a desire to 'get-it-right'. Efficient, pleasant, good energy and just good guys. All of the Employees are positive and polite. It’s nice to have that kinda of service! Nice clean guys. Polite and friendly. Worked hard and quickly. They accidentally left 2 wrenches while I was undoing the waterline on the fridge. I couldn’t find the right tool in my move mess. Very happy with the service.